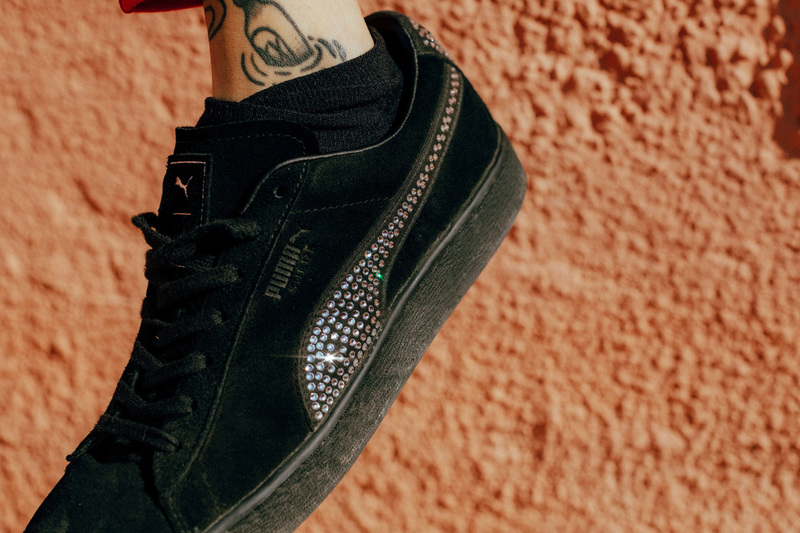 PUMA’s curated capsule collection with French fashion retailer, The Kooples, brings together the best of classic and future styles with brand new iterations of the PUMA Suede and Thunder sneakers. THUNDER THE KOOPLES (R2 699) features a mixed material upper consisting of premium leather, mesh, neoprene and rubber. Subtle features that finish up the design include metallic eyelets, loop puller on tongue and heel, and two set of laces – white and black round ones with screen-printed branding. The Kooples signature skull branding is affixed on the heel while the insoles bear a contrasted co-branding. SUEDE THE KOOPLES (R2 499) on the other hand features a premium suede all over upper with crystals adorning the lateral Formstrip and heel. It’s finished off with debossed co-branding on the tongue and contrasted co-branded insoles. PUMA x The Kooples will be available at PUMA SELECT stores from 1 April 2019.